My name is Chuck Caruso. I’m fifty-one-derful years old. I’m a native of Yuba City, California, little town in the Sacramento Valley about a hundred miles north of the San Francisco bay area. I currently live in Vancouver, Washington, right across the river from Portland, Oregon. I got my undergraduate degree in English at UCLA, my Master’s degree in English at Chico State in northern California, and earned my Doctorate in Engish at University of Washington in Seattle. 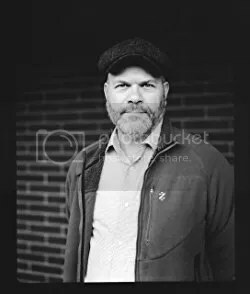 I teach literature and writing at Marylhurst University and at Clark College. When I’m not busy teaching or writing, I spend time my girlfriend Beth or go on adventures with my dog Clementine. I was recently asked to give a TED-type talk at a local software company to discuss my recent academic work of performing critical analysis on video games. The title of my talk is “Are Video Games Art?” For me, the answer to that question is definitely yes! I wrote my first short story (a teleplay, actually) when I was in the first grade. It was called “Lost in a Tuba” and it was all about how dark and cold and mazelike it was being trapped inside that instrument. In third grade, I started writing my first novel, which had the working title Crime Might Pay. I think I actually wrote three or four chapters before I ran out of steam. I was eight, so tackling a novel was a bit much. I think I’ve always considered myself a writer, but my first professional sale to Cemetery Dance magazine stands out as a landmark. Having a story included in the Otto Penzler anthology KwikKrimesalso made me feel legit. Of course, having my debut crime novel, The Lawn Job published this year by Cloud Lodge Books means that I’m undeniably an author now. James M. Cain and Jim Thompson are two of my all-time favorite crime writers. My neo-noir novel, The Lawn Job grew out of my thinking about what sort of books Cain and Thompson would write if they were alive today in the era of cell phones and text messaging and legal weed and crazy militias living in the woods. Not to mention the advances we have made in LGBTQ rights. In general, I try to write in a style that both evokes and updates the noir authors I love – Cain and Thompson, also Patricia Highsmith, John D. MacDonald, Elmore Leonard. The list goes on and on. Writing in this style challenges meto keep things lean. As an English professor, I have a tendency to write long, meandering sentences littered with fancy words, but the noir style forces me to keep thingstighter, more spare. You have to find ways to express complex ideas in simpler ways. I love the discipline this demands. I tried to make The Lawn Job as realistic as possible. I want my fiction to come alive for the reader in that way. While none of the characters are directly based on myself or people I know, I definitely drew inspiration from sources around me. For example, I’ve never been to prison myself, but I have friends and family members who have served time. That provided me insight for the sorts of experiences my characters would have. I do like to scout out specific locations during my research and planning process because I think that can add a nice layer of gritty realism. I tend to write about places that arefamiliar to me. 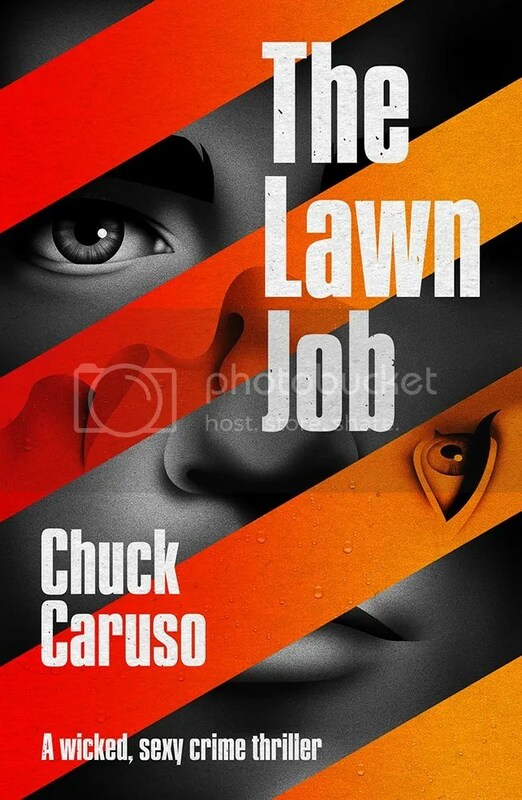 The cover of The Lawn Job was designed by a Dutch firm called La Boca. I love their work and feel very blessed to have a cover designed by them. Their award-winning work on book jackets, album covers, and movie posters is wonderful. I especially love their poster for the re-issue of the classic post-war noir film The Third Man. I like to write for effect rather than for “message” per se, but I’m always curious to hear what messages readers find in my work. As an author, once your writing is out in the world, you don’t control its meaning any more. So many new writers are doing great work right now that I almost don’t want to name favorites because I don’t want to leave anybody out. That said,there were some excellent debuts last year. You can’t go wrong with any of the Edgar nominees for first novel. Ray Bradbury’s encouragement helped me a lot. I was blessed to spend a whole afternoon with him when I was a 20-something aspiring writer. He gave me great advice and got me fired up to write more and better than I ever had before. A few years later, after I made my first professional sale (to Cemetery Dance magazine), Bradbury sent me a postcard that said, “Congratulations! You’re on your way.” That was such a small thing in one way, but it was huge to me. Absolutely! Writing is my not only my career but my passion. I’m also a college professor, so I make my living reading and writing. I consider myself very lucky to spend my days doing things I love. I’m very happy with my final draft, so I wouldn’t change anything about it now, but I would have made better choices during the earlier stages of writing so that I would arrived at the final published version more quickly and with less deep revision. Yes, you learn important things from each project. My major lessons from writing The Lawn Job include the importance of outlining the plot start to finish before beginning the first draft in earnest, the importance of finding the right voice for the project, and the importance of believing in the project while doggedly revising until the manuscript sells. This is a fun question! I’d love to see Craig Collins played by Taylor Kitsch (best known as Riggins from Friday Night Lights). For the role of Juana, I think it would be important to cast a transgender actress. Michelle Hendley or Jamie Clayton would be great! Read as much and as diversely as possible. Write every day. I’d like to tell my readers thank you for giving my novel a chance. There are so many great authors out there and so many new authors to explore, I appreciate your willingness to read The Lawn Job. I always seem to have a few books going at once, but I recently started The Borrowed by Chan Ho-Kei. It’s a police procedural set in Hong Kong, which would already be fascinating enough, but the sections are set in reverse-chronological order so reading the novel feels like excavating layers of social history. I remember E.B. White’s Stuart Little being the first book I recognized as a personal favorite. Edgar Allan Poe and Sir Arthur Conan Doyle probably wrote the first mysteries I read. From there, it was off to the races. My dog Clementine makes me laugh. She’s one crazy pup. I cried when I heard about Chris Cornell’s death. Celebrity deaths can be sort of hit and miss with how they affect you, but I lived in Seattle during the 90’s and used to see him and a lot of the other “grunge” musicians around town all the time. That’s my generation, so losing Cornell hit close to home. As a Poe scholar, I should probably say Edgar Allan Poe, but I think I’d have more fun having a few drinks with Raymond Chandler or talking shop with John D. MacDonald. I play guitar and write songs. I sometimes play at house parties or open mics. I’ve also played at quite a few funerals and one wedding. It was really nice to play at a happy event for a change. As a crime writer, I love brooding, dark crime dramas of course, especially recent BBC ones like Broadchurch and Shetland. Perhaps more surprisingly, I love watching stupid sit-coms. In fact, I wish life were more like a sit-com. That way all our problems could be solved in under a half hour. I love sushi and Mexican food. I could probably survive just by toggling back and forth between those two types of food. My favorite color is blue. Isn’t everyone’s? I have very diverse musical tastes, but these days I probably listen to more jazz than anything else. Music without lyrics works best for me when I’m reading or writing, which I spend much of my time doing. If I didn’t write, I’d probably spend all my spare time playing and inventing Euro-style board games. My buddy Alan and I are crazy for them. We’ve even got a couple projects in the works. Maybe someday we’ll get one of our games published.